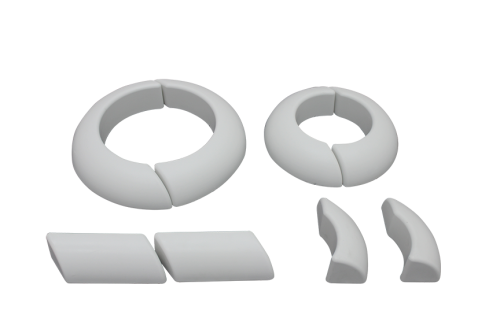 Polyether-based, single-component, water-reactive elastomeric sealing mastic used on horizontal surfaces in the SOPRAMASTIC BLOCK system for details and penetrations. 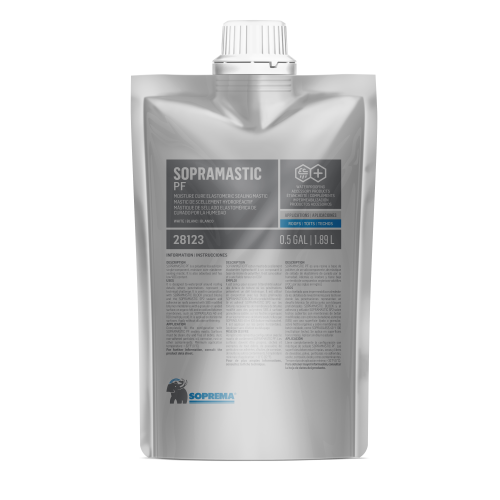 SOPRAMASTIC PF sealing mastic can be applied and stored at any temperature. However, it should be kept at a minimum temperature of 0 °C (32 °F) just before and during the application. Store in a ventilated place, away from heat, moisture and sunlight.